As Western Europe expanded its empires in the sixteenth and seventeenth centuries, it came to dominate many peoples, especially in America, whose cultures and legal systems differed dramatically from its own. The resulting conflicts of both law and custom posed difficult problems: How could these conflicting laws and customs be adjusted within a common political administration? And, in particular, how could legal remedy be provided for groups of lesser political weight? 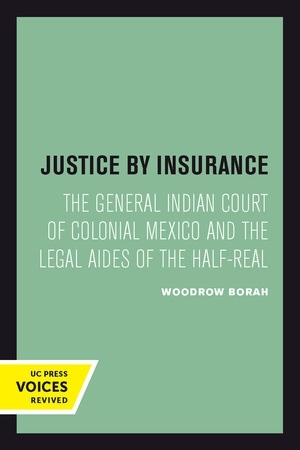 Woodrow Borah vividly depicts one of the more unusual institutions that arose in response to these problems—the General Indian Court of New Spain. In what is today Mexico, the conquering Spaniards had at first attempted to preserve such Indian customs as were deemed not contrary to reason or Christianity. However, as interpreted by Spanish judges, so much turned out to be "contrary" to these standards that native customs were soon recast in largely Spanish norms. At the same time, the conquered Indians discovered the uses of the Spanish courts, unleashing a flood of litigation. The ensuing social and economic upheaval sparked great concern among Spanish administrators and jurists. The result was the establishment of the General Indian Court, a remarkably innovative special jurisdiction vested in the viceroy and corps of legal aides. Expenses were paid from a small contribution by each Indian family—in effect, legal insurance. Woodrow Borah analyzes the kinds of cases that came before this court, the decisions it reached, and the policies underlying these decisions. He enriches this study by examining the separate but parallel structures in the Yucatan peninsula and on the seigneurial estate of Hernán Cortés, and by comparing the General Indian Court to the tribunals of Guadalajara, which had no similar special arrangements. 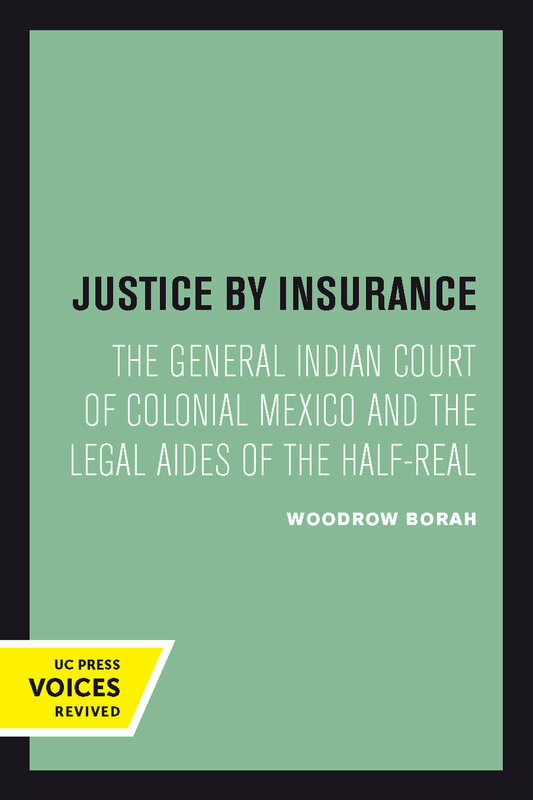 The development of the General Indian Court and the relation of the legal aides to their Indian clients and to other lawyers form a complicated story of both service and exploitation and contribute an important chapter to the history of colonial Mexico. This title is part of UC Press's Voices Revived program, which commemorates University of California Press’s mission to seek out and cultivate the brightest minds and give them voice, reach, and impact. Drawing on a backlist dating to 1893, Voices Revived makes high-quality, peer-reviewed scholarship accessible once again using print-on-demand technology. This title was originally published in 1983. Woodrow Borah was the Shepard Professor of History Emeritus at the University of California, Berkeley.